Known as one of the world's best windsurfing spots, this sandy beach stretch is a favorite among local surfers. Conditions make for great waves most of the year, though they are best navigated by those with experience. When in doubt, sit it out and enjoy watching some of the world's best wind and kite surfers in action. There is parking and facilities available. Ho'okipa is steep, sandy beach with reef above and underwater along shoreline, bordered by basalt points and boulders. 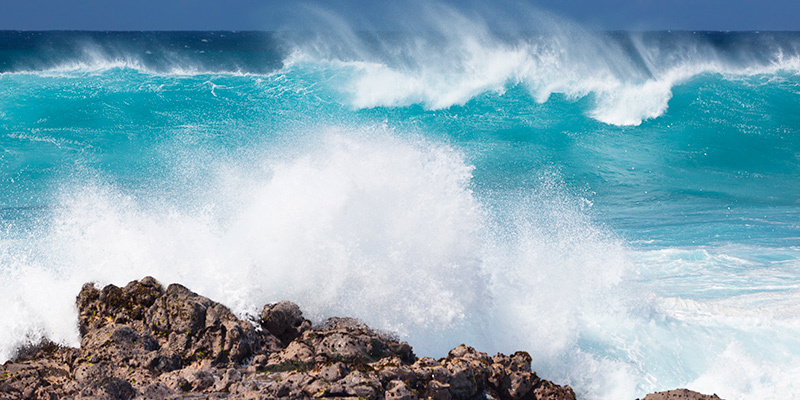 It is not good for swimming as rocks, reef and wind can create hazardous rip currents. Also beware of swift currents, strong riptides and high surf. Watch for rogue waves when exploring tidal pools.